So you have made it through the first few months of breastfeeding a newborn. Congratulations! You are doing a great job mama! But now a new change is looming on the horizon: your maternity leave is slowly creeping to and end. And you are wondering how you are going to continue providing your dear baby with their primary source of nutrition, breast milk. 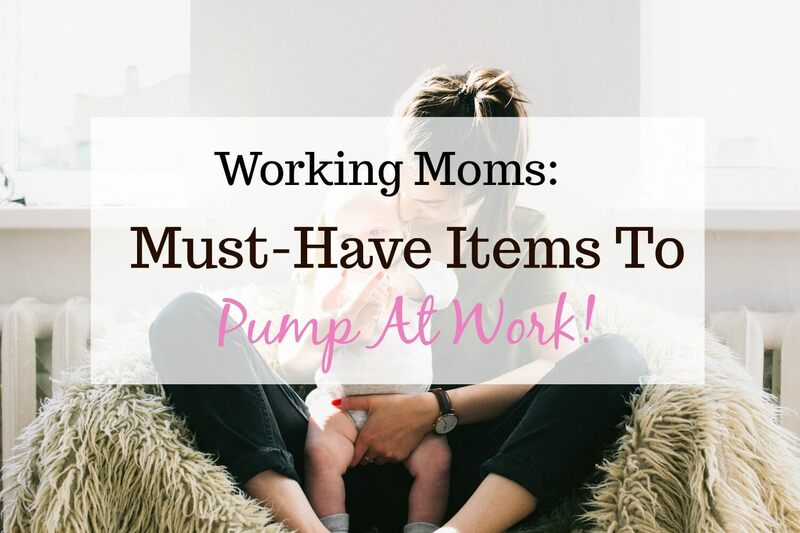 What supplies do I need for pumping at work? 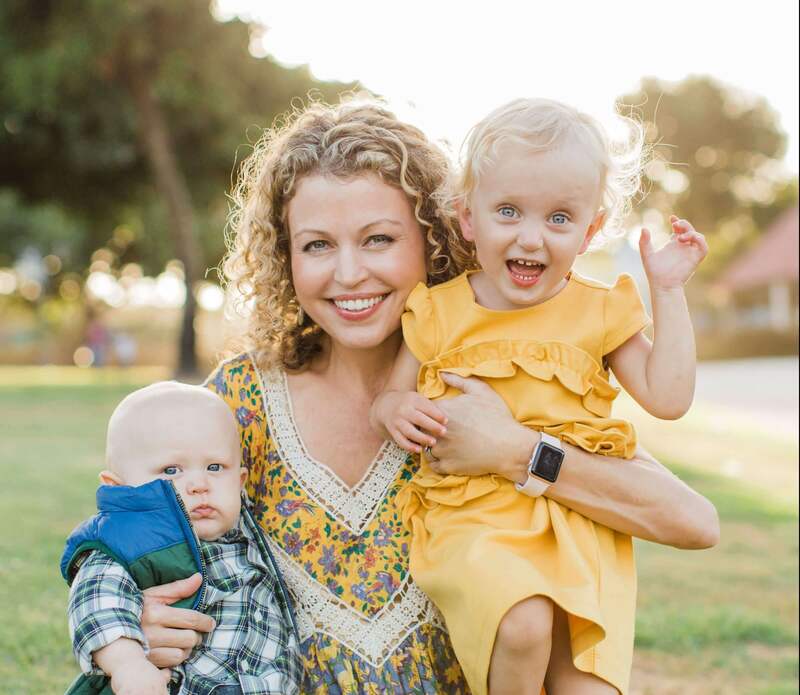 I had so many concerns about being a “pumping mom” and I couldn’t for the life of me figure out how I was going to make it happen without a ton of stress. But I knew I needed to be prepared. I am a registered nurse and I work very busy twelve hour shifts. Like most pumping moms who work, I don’t have time not NOT to be prepared. I am happy to share that I have been successfully pumping as an ER nurse in a very busy level 1 trauma center for the last 4 months. And I still can’t believe how well it is going! Sure, there have been a few minor hiccups along the way (like forgetting my breast pump at home, whoops!). But overall the experience has been way better then I would have thought. This device is the highest on the must-have items to pump at work list, for obvious reasons. Without it, you have no way to access your milk! I am using the Medela Freestyle portable pump because it is the one that my insurance covered and it works great. You want to make sure that you have a double pump so you can pump both breasts at once to save time. I really like this nursing bra accessory because it makes it possible to double pump without having to hold the pumps with with both hands. Once you start pumping you will find that having to hold the pumps in place is really annoying and makes it difficult to do anything else. This cleaver contraption can hook on to almost any nursing bra and make it a hands free pumping bra as well! That way you can still do other things like check email or scroll though your phone. Because lets be honest, pumping can be pretty boring after a while! After you pump you need to make sure you have a place to store your breast milk until you get home. I always pack a lunch for work so I just use my insulated lunch bag to store my milk. You can use any insulated storage bag. Engorgement is no joke. There have been a few times at work when I wasn’t able to pump on schedule and I ended up leaking through my scrubs (you could barely see it but still!). As a result of that embarrassing experience I started wearing nursing pads when I was at work. Place them in the refrigerator for 12 hours before you need them to thaw them out. Or place them in a bowl of hot water for quicker use. These are on the high list of absolute must-have items to pump at work that you will need: I have used over 200 of them already! Your baby is going to need a way to drink your breast milk when you are not there, right? I tried so many different brands of bottles for our baby (their are so many!) but I finally settled on Dr Browns newborn bottle feeding set. Different brands are NOT able to be used interchangeably with one another so its a good idea to find a brand you like and stick with it. Otherwise you end up spending a bunch of money on bottles and parts you don’t even need. In the beginning your baby will only need the 4 ounce bottles because they wont be drinking as much milk. But as they grow you need to switch to the 8 oz size. My son is 6 months and can take an entire 8 oz bottle in one feeding very easily. The Dr Browns bottles have a blue vent system that is supposed to remove excess air bubbles from the milk. This supposedly helps reduce feeding problems like colic, spit-up, burping and gas. Our daughter struggled with pretty severe colic and constant spit-up and switching to the Dr Browns bottles helped the situation tremendously. She still had some issues but they were noticeably much better! This is not a necessity but I included it because the Splirish baby bottle drying rack because it has been so helpful for me (and it looks cute on the counter too!). It comes in medium and large sizes. One of the unfortunate side effects of pumping breast milk is that you are going to be washing A LOT of bottles and breast pump parts. It is just par for the course with pumping at work! Every night when I get home from work I put all of my breast milk into storage bags and put them in the freezer. I am left with several dirty bottles from work along with dirty pump parts and all the empty bottles that my baby drank during the day. That is a lot of bottle washing! To save time I soak the parts in soapy water and then wash them all at once and leave them on my drying rack to dry out until the morning. This system has saved me a lot of time over the months. You may get overwhelmed, but you too can do this! It is your legal right to continue to provide breast milk for your children and pump while you are at work. Do not let anyone tell you differently or make you feel guilty about it. Only you know what is right for you and your babies. Good luck, mama! Let me know how it goes as a pumping mom in the workplace and please reach out to me if you have any questions. I would be happy to help you!